We are offering Aspiro 151 Wet & Dry Vacuum Cleaner to our clients. Established in 1996 and since then continuously been Distributing, Servicing & Maintaining the cleaning products supplied to various industries. The company's philosophy also sets extremely high standards for its products which represent the top in their respective markets. Trolleys, squeegees, wet and dry vacuum cleaners, floor scrubber dryers, motorized sweepers, high pressure washers, hot air generators, chemical sprayers, chemical products, plus equipment and accessories of all types that are universally appreciated and recognized for their quality and reliable performance. The size and international dimension of the group makes it one of the world’s leading producer of Professional Cleaning machines & equipment’s, with a vast range of prestigious products & brand. IPC's aim is to capitalize on the experience and points of excellence present in the group, combining the benefits deriving from the size of the organization with the advantages of specialization in the various sectors. 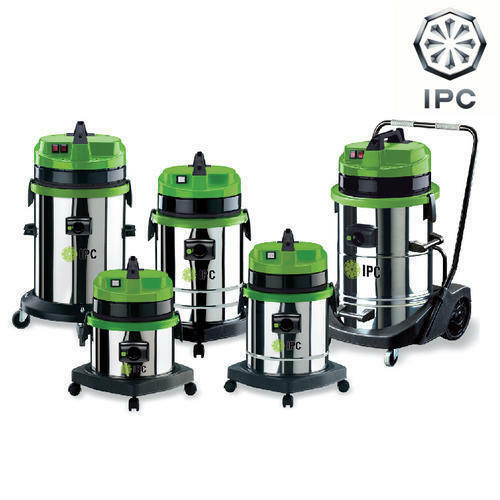 The IPC group consists of a system of companies, products, business units and services able to provide global solutions to the needs of the professional cleaning sector. The business units specialize in specific segments of the market, where they are present with dedicated production units, sales networks and a constant commitment to technological research and product innovation, involving collaboration with valuable strategic partners.